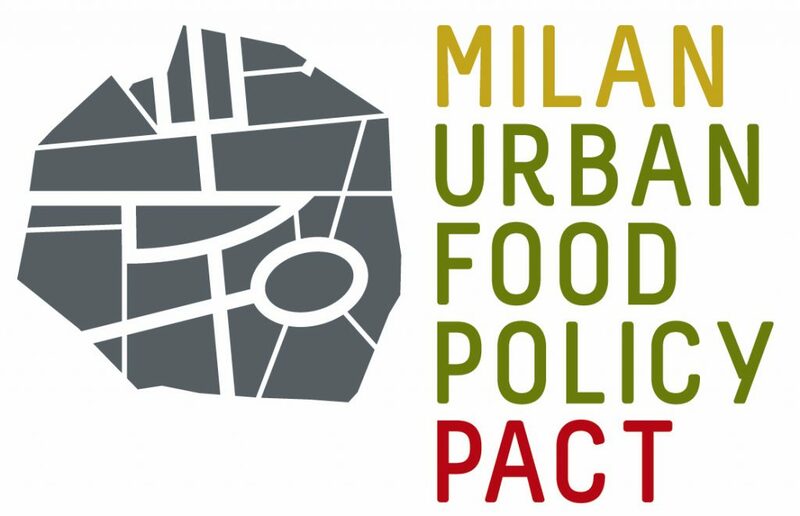 The Milan Urban Food Policy Pact is the first international protocol through which cities commit to developing more sustainable food systems. Launched in October 2015 at the Expo Milano “Feeding the Planet, Energy for Life!”, with UN General-Secretary Ban Ki-moon, it brings together 167 signatory cities (as per May 2018), from all continents. The Milan Pact secretariat promotes and facilitates the exchange of good practices and city-to-city cooperation. The UNESCO Chair in World Food Systems aims at producing and disseminating knowledge and experiences from and across the world on food systems, their diversity, dynamics and impacts on people and the environment. They look at food from the lens of sustainability: nutritious and sustainable diets, equal access to food, optimized production and logistics, limitation and recycling of food waste, food habits and traditions, etc. The Chair is particularly focusing on food and agriculture in an urbanizing world context. Léa Nature-Jardin Bio Foundation aims at promoting the protection of natural resources and prevent impacts of environmental degradation on health. Its priority actions are the health / environment link, food sovereignty and access to seeds. The group is a member of the 1% for the Planet Club. Eating better and making our food model a strength for the future are the ambitions of the National Food Program (“Programme National pour l’Alimentation”). The aim of this program is to rely on a partnership with local authorities, associations, institutional bodies and private actors to encourage initiatives related to health, socio-economic and environmental issues of food. Eating City is a multi-year activity program, launched in 2010, set up by the Risteco Consortium and Terre Citoyenne. Eating City aims to create meeting opportunities, to develop case studies and publications with concrete proposals for public and private decision makers working upstream and downstream of the food chain and for the food industry. 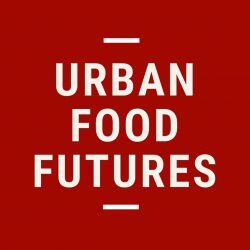 Urban Food Futures is the first online science magazine dedicated to urban food systems sustainability. It supports the pioneers of food sustainability by providing them with the scientific support they need. Every Friday, take your coffee with an article you receive directly in your mailbox! A huge thanks to Timothée Guérin, Amandine Leca, Estelle Iung, Clémence Panzuti, Marie-Flore Doyen, Anne Demonceaux, Hélène Gourichon, Hugo Guggenbuhl, Alexia Ballereau, Hervé Lançon, Nathalie Daumas, Camille Dacomo, Jill et Patrick Faucher, Axel Guibert, Camille Balfroid, Marie Senia, Nicola Robecchi, Clément Vialade, Alban Mas Aparisi, Laura Thenon, Maëlle Deshoux, Jérémy Villette, Jacques Lussac, Françoise Fillon, Célia Malbert, Marianne Labarthe, Michela Carucci, Roxanne Lesage, Marion Burette, Laura Legras, Félix Lançon, Agathe Lançon, Samuel Faucher, Agnès Delgorgue, Alexandra Moles, Sophie Vaud, Johanna Dumortier, Anne-Maud Courtois, Valentine Palis, Anne Blériot, Aurore Courillon, Fabien Muratet, Lucile Peraud, Gabriele Belfiori, Geoffroy Reynal de Saint-Michel, Nina Bigaud, Albane Gaspard, Perrine Judenne, Clémentine Diemunsch, Radia Slimani, Stella Peschel, Maria Amparo Pérez Roda, Guillaume Dupont, Léo Keller, Rebecca Hagege, Michel Lesbats, Chloé Cangiano, Léa Navailles, Anne-Marie Ducasse-Cournac, Roch Alaguillaume, Manon Damalix, Elsa Lançon, Baptiste Bert, Laura De Matteis, Alexia Greffet, Marcello Vicovaro, Gabrielle Savalle, Pierre Judenne, Maxence Douet, Gabrielle Obert, Charlotte Barrat, Robin Clempson, Gaëlle Dariet, Lara Jouaux, Amalia Harismendy, Raquel Duran, Thierry Giordano, Alain Rousset, Charlotte Catel, Simone et Bruno Faucher, Gautier Vancleenputte, Audrey Misrahi, Marine Valette, Christelle Saint Catherine, Jéromine Lançon, Antoine Richard, Marine Sabadach, Emma Flipon, Etienne Mazet, Florence Sablayrolles, Guillaume Daoulas, Martin Hemery, Sabrina Deforge Lagier, Maxime Chagnaud, Roxane Fages, Julie Savoie, Lucie Merandon, George-André Simon, Pauline Cerou, Sarah Aurin, Alice Delsuc, Gab Pal, Catherine Béziex, Christine Grandillon, Giovanna Michelotto Pastro, Magali Mandon, Morgane Scouarnec, Jean-Marc Gancille, Lou Goujon, Bénédicte Duchamp, Lyad Kallas, Cécile Broutin, Marie-Charlotte Buciol, Anna Loyer, Annette Sarocchi, Gérard Duvillier, Carole Gautron, Mathilde Bommier, Andrée Lançon, Yves Panzuti, Eric Lançon, Paul Clempson, Edith Salminen, Sébastien Launais, Alexandre Bagolle, Luce Savian, Anoucha Joubert, Céline Raut, Charlaine Le Dantec, Amandine Faucher, Makiko Taguchi, Camille Tedesco, Claire Schreiber, Astrid Plédran Cousinié, Edouard Marchand, Audrey Vernel, Mathilde Letreguilly, Catherine Teyssier, Yann Vuilllerod, Cyril Tisseyre, Clara Fahd, Pénélope Bresch, Marie Seiller, Marc Jourdaine, Antoine Thuillier, Clémence Duprat-Darracq, Barbora Kebová, Anne Guyez, Bertrand Noiret, Guido Santini, Elisa de Mèredieu, Sarah Nabyl, Lucie Thiollier, Hector Haab, Christophe Trespeuch, Lise Jung, Katarzyna Lewicka, Noémi Hilaireau, Clotilde Calluaud, Véronique Knighton, Vincent Lhullier, Nina Giorgi, Anaïs Huoy, Kenneth Beirne, Pauline Lobit, Jean-Christophe Marty, Florence Cousinie, Florian Denuc, Jonathan Atteia, Selim Nitcheman, Paul Vandebeuque, Laetitia Defaye, Karla Bequet, Adel Ourabah, Manuel Caballero, Muriel Aublet-Cuvelier, Claude Darrieutort, Monique Darrieutort-Moulin.